Child Life Specialists at Edinburg Children's Hospital focus on the emotional, social, and developmental well-being of hospitalized children and their families to help reduce stress and anxiety and promote effective coping. They are professionally certified and have bachelors or masters degree in child life, child development, family studies or a related field. Help the child cope more effectively with hospitalization. Specialists can also prep patients for surgery, radiology procedures, wound care and insertion of an IV, PICC line, feeding tube or chest tube. During a procedure, such as IV start or wound care, Child Life can help patients cope by providing emotional and physical support using distraction with bubbles/toys/books, encouraging positioning for comfort and teaching deep breathing. 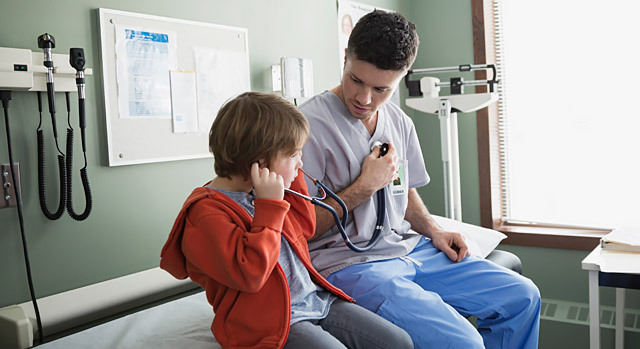 When patients are not coping well, exhibiting uncooperative behavior or upset, Child Life can work with patients and their families to develop an individualized plan of care. This can include doing self-expression activities, creating an incentive chart, helping with taking medication or being someone the child can talk to. Child Life can help patients control and manage pain with exercises such as deep breathing, imagery, relaxation and distraction. Child Life can use real or toy medical equipment during play times to help patients become comfortable and familiar with medical supplies, enhance their understanding, ease their anxiety and fear, increase cooperation and encourage expression of emotions. In addition to providing bedside and playroom activities including crafts, games, movies, and books, Child Life can energize and engage patients and families by planning fun special events, celebrating birthdays and holidays, and coordinating weekly visitors such as art teachers and clowns. 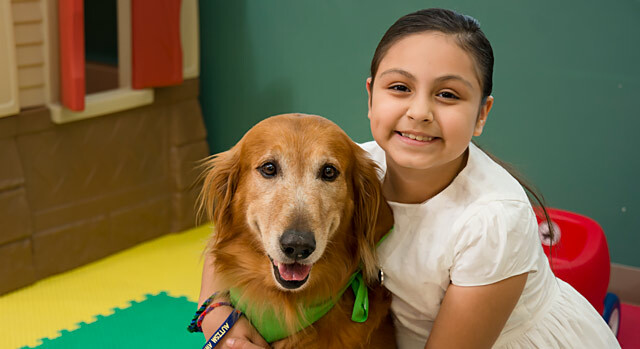 Child Life works with Inspirational Pets of South Texas to provide pet therapy for Edinburg Children's patients. Child Life can help patients and families gain a better understanding of a new diagnosis through interactive teaching and by providing resources and information. Because a child's well-being can be affected by the support of his or her family, Child Life provides information, support, and guidance to parents, siblings, and other family members. Child Life can prepare families for procedures, prepare a sibling before they visit a patient and provide activities for families to do together. Child Life collaborates with chaplains and social workers to provide support to patients and families during the last stages of life. Child Life can help patients express their feelings, emotions and concerns and provide opportunities to help patients say goodbye to family and friends, including legacy activities like handprints, pictures, letters and memory boxes.